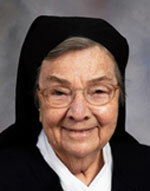 Sister Philip Marie Wendel, I.H.M. Immaculate Heart of Mary Sister Philip Marie Wendel, 94, died Sept. 22 in Camilla Hall. She was in the 76th year of her religious life. Born in Lancaster, Pa., Sister Philip Marie entered the Congregation of the Sisters, Servants of the Immaculate Heart of Mary in 1939 from Sacred Heart Parish in Lancaster, and professed her vows in 1942. Sister Philip Marie taught in elementary and secondary schools in the Archdiocese of Philadelphia and the Dioceses of Allentown, Harrisburg and Miami. She was assigned to Camilla Hall in 2005. Her funeral Mass was celebrated Sept. 29 at Camilla Hall in Immaculata. Father William E. Dean was the celebrant and homilist, and Msgr. Joseph Logrip was the concelebrant. Sister Philip Marie is survived by members of her IHM Community, her sister Kathryn Harnish (Norman Spindler), many loving nieces, nephews, grandnieces, and grandnephews. She was predeceased by her parents Philip J. and Martha Lintner Wendel, her sisters Joan Kirchner (Regis), Mary Jane Early (Albert), Elizabeth Kirchner (Robert), her brother Philip J. Wendel Jr. (Eileen) and brother-in-law Reno Harnish.